Metal chairs are great accessories for outdoor and indoor living. They’re highly durable and sturdy enough to last for many years. With the right finish they won’t require a lot of maintenance that takes hours away from your limited free time. 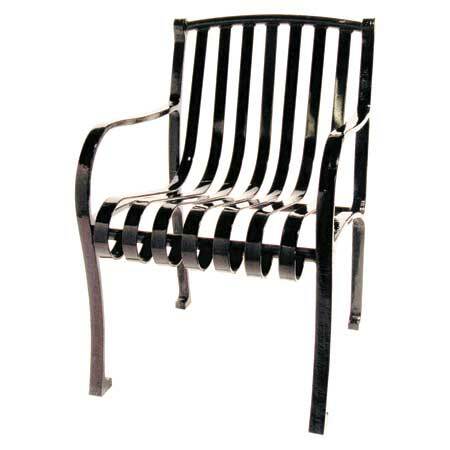 You will love the metal chair options for your porch, patio, deck, or garden. They can be used for residential homes as well as commercial companies such as restaurants and wedding receptions. They can even be used indoors to easily accommodate seating arrangements. Metal Garden Chairs will look great in any setting. 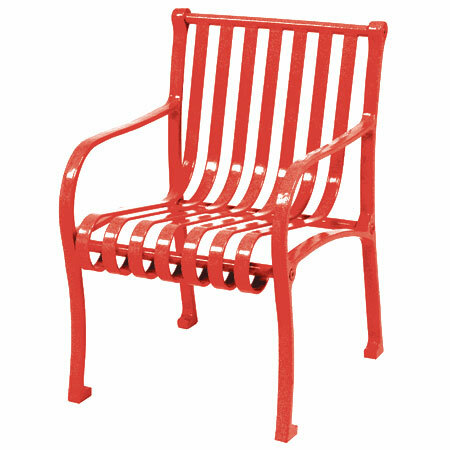 A thermoplastic finish on every chair allows them to hold up in harsh weather conditions. They’re sturdy enough so people won’t feel as if the chair can’t hold them like cheap plastic versions can sometimes do. They work great if you just want to sit around and talk with friends and family or for you to enjoy a meal outdoors without having to go to a busy restaurant atmosphere. If you enjoy eating with family outdoors, host barbeques, or have people over for outdoor parties you will want to buyhigh-quality chairs that will last for many years in order to get your money’s worth. Our metal chairs have the right finish that will outlast many other types of chairs meant for a patio, deck, or around a swimming pool. They are easy enough to move around the garden for whatever reason. You won’t have a problem moving the chair to stay in the sun or to follow the shade. Stacking perforated metal chairs are made completely out of steel and have a Thermoplastic finish that gives the garden chair protection against the common outdoor elements, including the blazing sun and never-ending rain. The finish comes in 16 different colors which offer you plenty of choices. Select from colors like yellow, blue, brown, and black to customize the look of your backyard. These metal chairs give owners an easy storage option when the chairs aren’t in use due to their stackable design. Custom Stacking metal chairs are perfect for not only residential owners, but commercial companies can also take advantage of this clever feature. Hotels that host banquets, wedding receptions, and other events can easily use stackable metal chairs to easily add or remove chairs in order to accommodate seating space or to make room for dancing. Restaurants also enjoy the benefit of having stackable metal chairs for both inside their main building or in an outdoor seating area. If you have a small family and only want a couple of garden chairs to be permanently outdoors you may find that just after a few phone calls you could have quiet a few friends over for dinner or drinks. Having stacking metal garden chairs kept in your garage or in a different area outside where you’re able to take down the amount of chairs you need as your guests arrive is a convenient you’re sure to love. This way you won’t clog up walkways with chairs that aren’t being used but you have the option of letting people sit instead of becoming tired of standing. XPB Lockers carries a wide variety of commercial mailboxes, lockers, outdoor furniture, commercial lavatories and bleachers delivered nationwide. If you cannot find what you are looking for, please call us toll free at 1-877-483-9270 and we will be pleased to help find it for you. Our home office is located in New Braunfels, Texas with warehouses located throughout the United States that enable us to service all 50 states including Seattle, Washington, Chicago, Illinois, Baltimore, Maryland, Houston, Texas, Amarillo, TX, Brownsville, Texas, Grand Prairie, TX, Pasadena, Texas, Fort Worth, Texas, San Antonio, Texas, Salisbury, N.C., Milwaukee, Wisconsin, Boston, Massachusetts, Salt Lake City, Utah, Billings, Montana, Tulsa Oklahoma, and Los Angeles, California. Stackable metal chairs allow many different types of for profit and non-profit organizations to customize events to the comfort level of the audience and the attention needs of individuals in attendance.